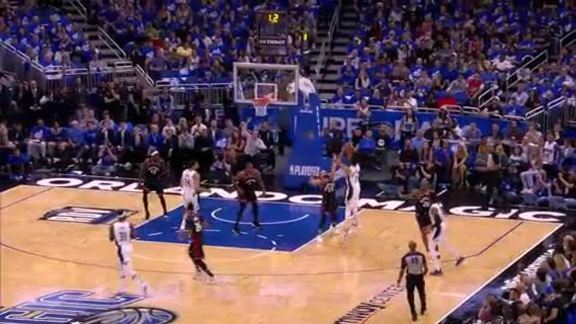 ORLANDO – What if Nikola Vucevic and Mohamed Bamba, in their dual pursuit of minutes and a starting role at the center position, actually become a formidable one-two punch for the Orlando Magic instead of heated competitors locked into an either-or battle? They are, after all, teammates with a budding friendship and a shared desire to help the Magic win big this season. Of course, both are fiery competitors who want to start games, be on the floor at crunch time and make the plays that will lift the Magic to new heights this season. But, what if, as new Magic coach Steve Clifford has asked repeatedly already, Vucevic and Bamba are both used – sometimes simultaneously in an ultra-big lineup – for the betterment of an Orlando team on nights when it needs more offense or more defense? Vucevic, the incumbent at center and the longest-tenured player on the Magic, is a highly skilled offensive player who sometimes struggles defensively in pick-and-roll coverages and isn’t particularly fearsome at the rim. Meanwhile, Bamba – the No. 6 pick in last June’s NBA Draft – comes to the NBA as a raw offensive player, but someone who should be an elite defender right away with a wingspan (7 feet, 10 inches) that is the longest in league history. How the Magic balance the use of Vucevic and Bamba could go a long way toward deciding the fate of their season. Clearly, they need Vucevic’s offensive production and veteran leadership on the floor, but Bamba also offers some much-needed length and athleticism on the defensive end and he will need major minutes to develop as a player. What to do? Clifford recently revealed his early-season plans – which undoubtedly could change as the season progresses if one outplays the other by a wide margin. Splitting time at the center position doesn’t seem to be an issue for now with the two big men, although it’s certainly understood that they both want to play as many minutes as possible. 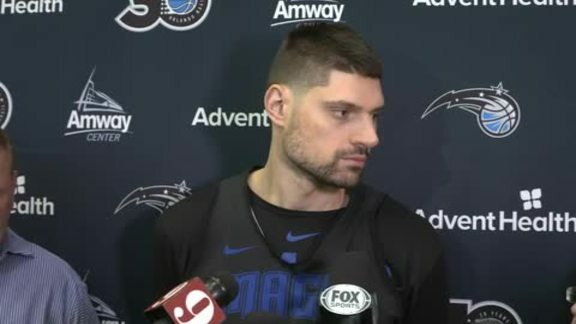 Vucevic, who is headed into his seventh season with the Magic and his eighth NBA campaign, is in the final year of his contract and undoubtedly wants to post a host of solid numbers that lead to winning. Meanwhile, Bamba still silently seethes about a perceived drop in the draft and he’s eager to show off what he feels will be a transformational set of skills at the center position that he’s worked all offseason to hone. Regardless his role, Bamba vowed that he will remain patient and continue to work as he adjusts to the NBA game. That’s a plan that worked well for him while in high school and college. 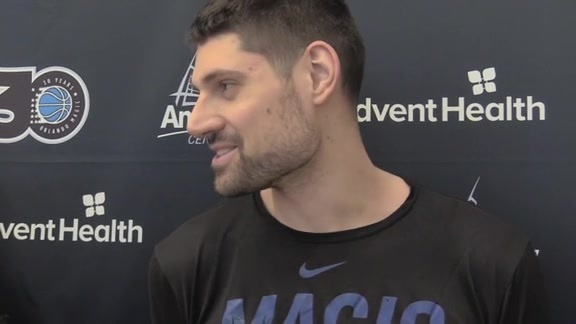 Vucevic, who will turn 28 in less than a month, is coming off a season in which he averaged 16.5 points, 9.2 rebounds, 1.1 blocks and a career-best 3.4 assists per game. It was the sixth straight season that he’s led the Magic in rebounding, but also a sixth straight season the franchise has missed the playoffs. He’s never groused about the team’s lack of success, insisting all along that he wants to stay in Orlando and be a part of the turnaround toward the playoffs. A long-time fan of professional soccer, Vucevic has always admired players who have been true to their teams and he is hopeful that he can follow a similar path. Clifford, who coached previously with the Charlotte Hornets for five years, has long been a fan of Vucevic’s game from afar and has grown to admire the 7-footer even more now that he’s coaching him. Though the Magic have struggled to find success and Vucevic is a mostly mild-mannered player, the 7-footer is widely respected throughout the NBA and in his own locker room, Clifford said. ``If you ask guys in the NBA about Orlando, with most of them, the first guy they are going to talk about is Vucevic,’’ Clifford said. ``Coaching against him, ever since I have been (in the NBA), you have to figure out how to take him away. There’s not many guys like him. I’m not sure if some people aren’t underselling how respected a player he is and how valuable he is to our team. In addition to being a very good basketball player, Vucevic is also a very good leader – something that longtime teammates have professed for years. Whereas Vucevic could have been upset about the Magic drafting a center who could someday replace him, he has been an active participant in trying to assist Bamba with his transition to the NBA. That’s something that veterans Andre Iguodala, Tony Battie and Spencer Hawes did for Vucevic when he was a rookie for the Philadelphia 76ers back in 2012, and he wanted to return the favor to the Magic’s 20-year-old rookie. Vucevic played at least 30 minutes a game in each of his first four seasons with the Magic, but that total fell each of the past two seasons. In an ill-fated 2016-17 experiment, he was asked to share the big-man rotation with Bismack Biyombo and Serge Ibaka – two players who have since been traded. Last season, Vucevic missed a major chunk of time because of a fractured bone in his hand and he split minutes with Biyombo. Undoubtedly, he will split time this season with Bamba, who got rave reviews from Clifford earlier this week following a particularly impressive practice. 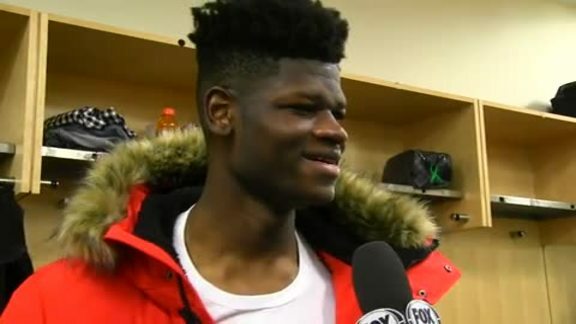 ``I’m just really pleased, and he’s been really good at everything,’’ Clifford said of Bamba, who had added some noticeable muscle to his frame this offseason following a summer working in the Magic’s weight room. ``Summer League was tough for him because physically he wasn’t ready to play many minutes. And the one game – I think it was the Phoenix game where there were more quality players on the floor – he got frustrated because he wanted to play, but he wasn’t in a place physically to do that. But he came right back here (for summer work) and he’s done a good job. While Clifford has continued to insist that Bamba is going to need time in the NBA before he is ready for a major role, he has hinted at using the 7-footer alongside of Vucevic at times. The goal for Clifford is quite simple: Find a way to get two of Orlando’s most dynamic players on the floor more. Because both Vucevic and Bamba possess perimeter shooting skills and Bamba possesses the lateral quickness to guard smaller players, they think the pairing could potentially work and allow the Magic to use the centers simultaneously.